A Cute cartoon circle character made of vector shapes. 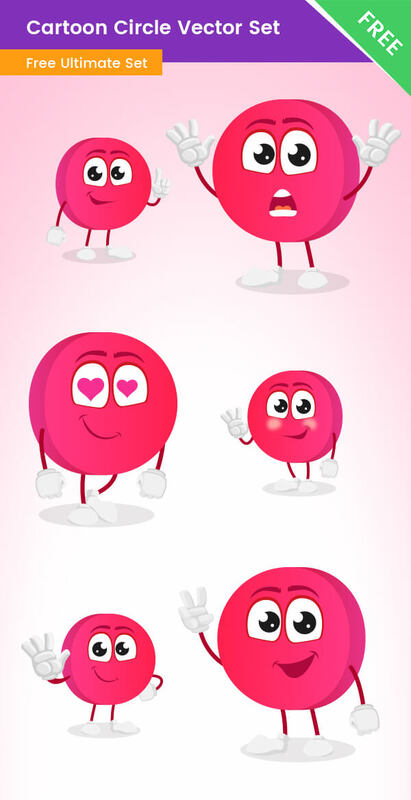 This circle cartoon is available in 6 poses and the whole set is completely free. We’ve designed this cartoon circle character for educational purposes, so it is perfect for kids to learn colors and shapes. You can use all of the 6 poses included in this pack and grab the attention of your young audience… for free.